Boing Boing recently noted the satirical McSweeney’s piece “Leaping off the Page” by Ben Greenman that proposed a 3D typographic system, 3*TYPE, which would allow simple prose to meet the challenges of the Avatar-inspired 3D revolution. However, where would satire be without farce? 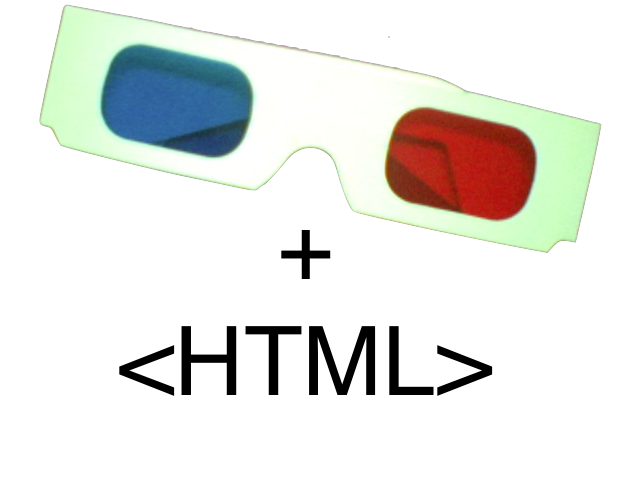 So taking things to their natural extreme, I present “HTML in 3D!” which implements the 3*TYPE process for any web page. Click the 3D! bookmark, and watch the HTML pop! Thanks to GEKE.NET for the CSS Bookmarklet Maker. This entry was posted in Code by Chuck. Bookmark the permalink.